The 2014 Art 4 Paws event will feature a basic agility course for those that wish to bring their pets. 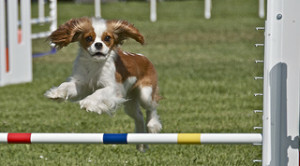 The course will offer a jump/tunnel/jump formation with dog treats to help entice beginners through the course. All participants will receive a small token for attempting the course. Please be sure to bring your canine companions out to enjoy the agility course!